Ready to dance, party & have a great time? Back to the BLUES, baby! Book your table now! Special guests every week, including fab guitarists Felicia Collins, Jerome Buigues, Michael Hill & Blues/R&B singer Bobby Harden. Plus top vocalists Keith Fluitt & John James – what a TREAT!! Sugar Bar Blues Band: Howie Robbins (keys), Phonzie Wesby (drums), Tony Stevenson (bass), Alex Andric (guitar), Dennis Moriarty (harmonica) and Damara Lynn Greene, host. I’ve taken this wonderful opportunity to go through the blues archives and find some unusual & rarely heard gems. Talking about Georgia White, Julia Lee, Koko Taylor…..songs that were hits decades ago….and especially the upbeat, party-on “get your dancin shoes” blues! 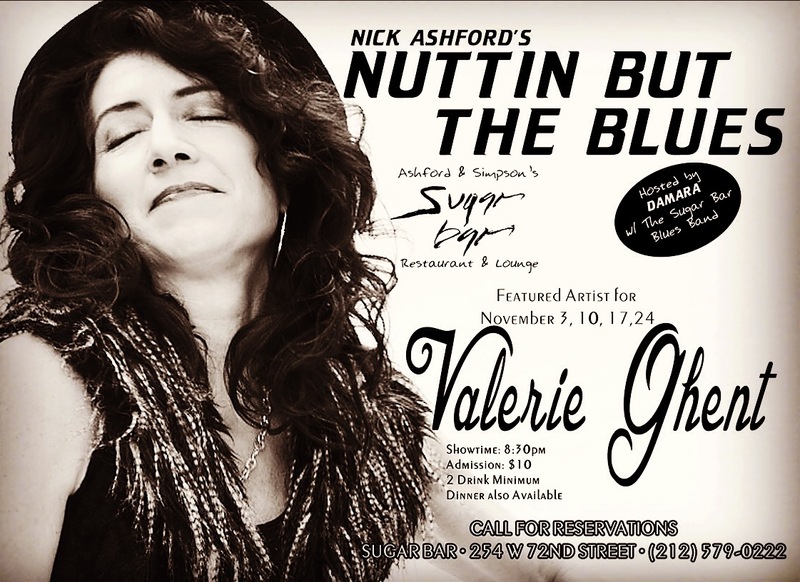 Tuesday nights at Sugar Bar – the blues is hotter than ever! Join us! Reservations strongly recommended. Call 212.579.0222 & ask for a table up front!